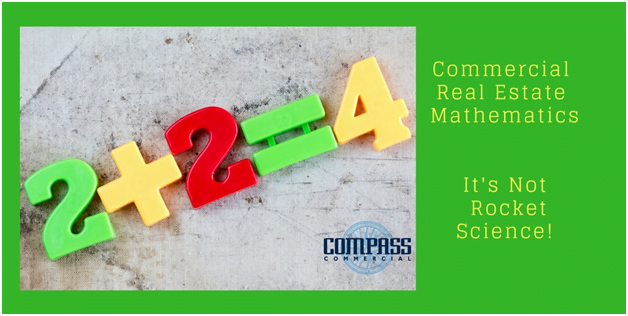 CRE Math Series: Financial Summary for an Office Lease: This year we have been showing you how we calculate the various costs that go into preparing a financial summary. Curious what this looks like with all the costs together? Wonder no more as we have included a financial summary for you to review. Looking at the top rows you can see the square footage leased, lease start date, lease expiration date, annual increases, free rent, the operating expenses in the initial year of the lease and tenant’s contribution to the improvements. The lower half breaks down the costs by year. As you can see the tenant is paying for increases over the base year of operating expenses, some parking expenses along with gas and electric. It is important when you are working with an agent that they prepare a financial summary for every property under consideration. Then you can make counter decisions based upon fact not conjecture. For this tenant the total cost of the transaction over 127 months is $7,397,434. Doesn’t it make sense to have this type of information available to you when you are making a financial decision? If so, contact us for your next renewal or relocation and we will provide your team with the important information to decide.